Our property is decorated with modern furniture, you will feel at home! We also provide air conditioning, fans and private bathrooms. 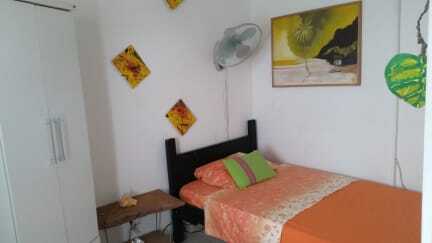 We also offer an separate apartment with a fully equipped kitchen. Guests can having a nice barbecue on the terrace and relax in the hammocks and book tours at our tour desk. 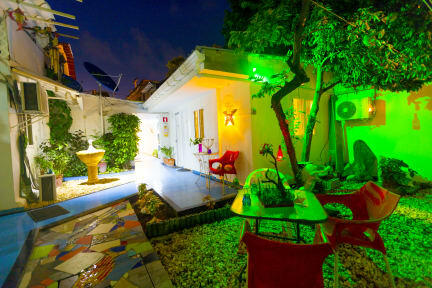 Native Posada Lizard House is located in San Andrés, just 200 meters from the Plaza de Bolivar. We are 25-minute drive from Rocky Cay Beach and also 5 minutes drive from the airport. We are also 2 km from the beach Iswander and 700 meters from Spratt Bight Beach. We offer rooms with single and double beds, free Wi-Fi, cable TV, air conditioning, Security Box, free coffee and tea from Monday to Saturday towels included and private bathrooms. Enjoy our terrace with hammocks and grill area! Cancellation policy: 7 dias prior arrival. Definitely good value for money. Clean, small private room, friendly person attending. The neighbourhood isn’t that cosy though (a 15 min walk to the center). When I stayed there, there was a diner party going on in the central area close to the rooms. I had to get up early in the morning and couldn’t sleep of the noise. Also it took me half an hour to find the place since the map on Hostelworld isn’t correct.